Mr. Burke is admitted to practice in Massachusetts, the Federal District Court of Massachusetts, the First Circuit Court of Appeals, the United States Supreme Court and the U.S. Tax Court. Mr. Burke is a Certified Public Accountant and a Member of the Massachusetts Society of CPA's Federal Tax Committee, the Massachusetts Bar Association and the American Institute of Certified Public Accountants. Mr. Burke is a former Revenue Agent for the Internal Revenue Service and a former Senior Tax Officer of State Street Bank. 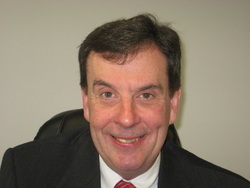 Mr. Burke is the past Chairperson of the Massachusetts Society of CPA's Federal Tax Committee and Marketing Committee. Mr. Burke was formerly a member of the AICPA’s Relations with the IRS Committee, as well as its Tax Practice Responsibilities Committee. Mr. Burke has written and spoken frequently for the Massachusetts Society of Public Accountants and the Massachusetts Bar Association on tax and corporate topics. The 1997 Tax Act’s Estate Planning Benefits and Complexities for Small and Family Owned Businesses, Massachusetts CPA Review, Fall, 1998. Mr. Burke is also an Editor of the Massachusetts Corporate Tax Manual, Butterworth, 1992.